Maryellen Royle and Jon Clark were promoted to global CEO of Tonic Life Communications and Nitrogen, respectively. 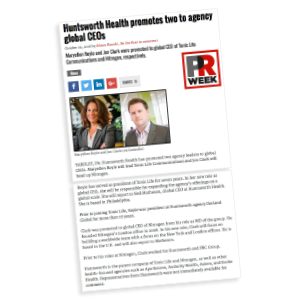 YARDLEY, PA: Huntsworth Health has promoted two agency leaders to global CEOs. Maryellen Royle will lead Tonic Life Communications and Jon Clark will head up Nitrogen. Royle has served as president of Tonic Life for seven years. In her new role as global CEO, she will be responsible for expanding the agency’s offerings on a global scale. She will report to Neil Matheson, Global CEO at Huntsworth Health. She is based in Philadelphia. Prior to joining Tonic Life, Royle was president at Huntsworth agency Dorland Global for more than 17 years. Clark was promoted to global CEO of Nitrogen from his role as MD of the group. He founded Nitrogen’s London office in 2008. In his new role, Clark will focus on building a worldwide team with a focus on the New York and London offices. He is based in the U.K. and will also report to Matheson. Prior to his roles at Nitrogen, Clark worked for Huntsworth and PBC Group. 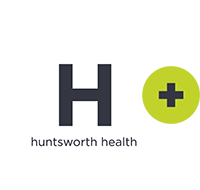 Huntsworth is the parent company of Tonic Life and Nitrogen, as well as other health-focused agencies such as Apothecom, Audacity Health, Axiom, and Evoke Health. Representatives from Huntsworth were not immediately available for comment.